Consider getting a Kiwi Access Evidence of Age Card! When you’re thousands of kilometres away from home, the last thing you need is to lose your passport. Getting it replaced costs time and money. But you may be thinking: “I’m not stupid enough to lose my passport, you patronising backpacker website!” Well, when your passport is one of only three forms of valid ID to prove your age in New Zealand, the risk of losing it suddenly gets a lot higher. 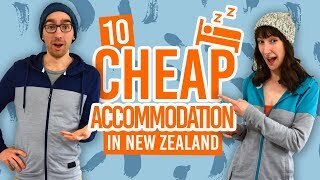 Luckily, there is an affordable alternative to proving your age in New Zealand, so you can leave your passport in the safety of your backpack. We’re talking about the Kiwi Access Card! The Kiwi Access Card, formerly the Hospitality New Zealand 18+ Card or HNZ 18+ Card, is a form of photographic ID made for the very purpose of proving the holder’s age so they are able to purchase the likes of alcohol in supermarkets, bars and restaurants. Without a form of valid ID, you strictly cannot be served alcohol and in some cases, you may not even be able to enter a bar or nightclub! (And you will be asked, even if you’re 30!) In this article, we’ll go through how to get your Kiwi Access Card, so that you have a safer version of photographic ID to take on nights out with you. Before your trip to New Zealand, have a couple of copies of your passport in a different part of your backpack to your original one. That way, you have all your passport information making it easier to replace if you lose your passport. Print out a couple of passport-sized photos, again, just in case you lose your passport. Keep your passport out of sight, i.e. your back pocket is not a good place for your passport. Don’t leave valuables on display when you park your car, this attracts thieves and passports are especially valuable to thieves. Get a Kiwi Access Card! More details below. The number one rule: don’t carry your passport around! Like in most countries, it’s essential to carry a form of photographic identification in New Zealand, especially when purchasing alcohol. In New Zealand, there are only three types of ID that you can use to prove your age and purchase alcohol – no exceptions! Any establishment selling alcohol is very strict on this rule, as they could be fined thousands if found serving alcohol to anyone under the age of 18. In some cases, you might not even be able to enter a club if you don’t have the correct ID, even if you intend to only drink soft drinks! Note that copies of your passport, overseas driver licenses, international driver licenses, student cards, etc. will not be accepted as proof of age. Don’t even try! Why get a Kiwi Access Card? If you are reading this, it is likely that you don’t want to risk losing your passport. Although it is literally the only form of valid ID you will have to prove your age when arriving in New Zealand, it doesn’t have to remain like that for long. Purchasing a Kiwi Access Card is a quick and painless process which results in having an alternative form of photographic ID that would have very little consequence if you lost it. So what are the benefits of getting a Kiwi Access Card? It’s a credit card-sized card which will fit right into your wallet! The Kiwi Access Card is the most affordable ID to purchase in New Zealand: only NZ$55! It makes a great souvenir! We recommend getting a Kiwi Access Card if you intend to stay in New Zealand for three months or more. Simple! Either download and print out Kiwi Access Card application form or pick up an application form from any NZ Post store. Fill out all the information requested on the application form. For a more comprehensive guide to filling out the Kiwi Access Card application, check out How to Get an ID Card in New Zealand or check out the Hospitality NZ website. Note that the current and previous versions of the “18+ Card”, used before the introduction of the Kiwi Access Card, remain valid for 10 years from the date of issue. Oh dear, you have lost your passport already? If you lose your passport in New Zealand, contact your country’s embassy immediately. Each embassy has a different process on replacing your passport, but in most cases, your passport will be declared as stolen, which means getting the New Zealand Police involved. Then you have the whole process of applying for a passport all over again, which is processed overseas which usually takes a significant amount of time and money. You are able to apply for a Kiwi Access Card without a Passport, however you will require an alternative form of identification and someone to fill out an identifier statement for you. Acceptable forms of alternative IDs and the different process involved is explained in section 5.1 of the application form. Information on applying via this method can be found in How to Get an ID Card in New Zealand.